Even though the practice isn’t new, brand activation is one of those hot new buzzwords in the marketing industry which you’ve likely heard before. It’s an important component of the marketing mix, has incredible value, and proven to be a great tactic in improving engagement with customers. But, when it comes down to the nitty gritty, most people cannot provide a clear cut definition of it. 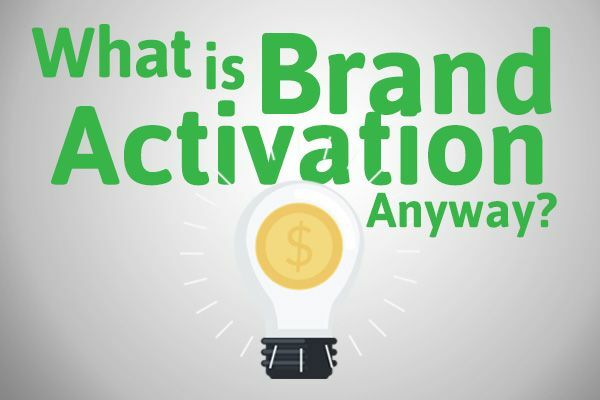 So, what is brand activation exactly? Since we help companies execute brand activations every day, we think we might be able to help. Keep reading to learn more! Well, what is brand activation? According to April5, the main purpose of brand activation is getting consumers to act. It’s a way of stimulating consumer action via brand interactions and experiences. Brand activation can take on different forms, some of which include: experiential marketing, in-store retail marketing, promotions and samples, online campaigns involving social media, and more. Brand activation is a key component in generating brand awareness for new and established brands. It plays an important role in improving engagement with customers as it allows people to understand the brand in an interactive and meaningful way. Brand activation can also be used to revive old brands and work towards improving customer loyalty. It can also help a business stand apart from competitors in a saturated market. It helps businesses market their product authentically, helping customers form emotional bonds with the brand. In this way, it again helps in improving customer loyalty. It should also go without saying that it’s important to already have an established brand persona before creating a brand activation campaign. The reason is because brand activation provides an opportunity to strengthen a brand’s presence with its target audience, and to distinguish itself from competitors. Have you ever wondered why your company should invest in experiential marketing? Experiential marketing events are perfect opportunities for improving customer loyalty and engagement with customers. It typically immerses consumers in a branded experience allowing the customer to interact with the brand, sample products, and learn more about the brand. As an event entertainment company, we’ve seen some great experiential marketing events. Not too long ago, TapSnap participated in New Balance’s Girls’ Night Out campaign across multiple cities in the United States. 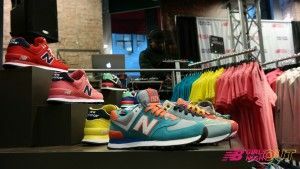 This ongoing campaign is a spin on the “night on the town”, which gives active, social women a chance to connect with each other while interacting with New Balance products. Each of the events which TapSnap participated in was two hours long. 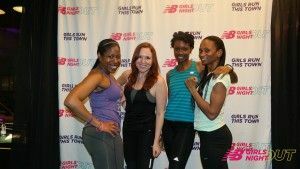 The events involved an hour of exercise class while promoting New Balance’s new shoes and attire. The events also had a DJ, adding live music to the experience. 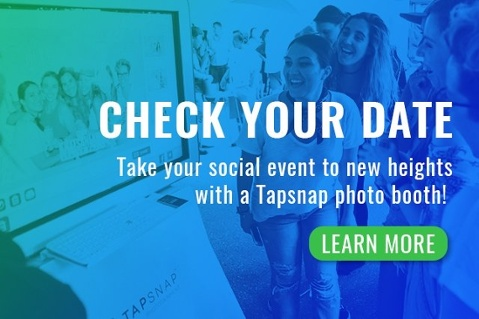 In addition to our photo booth, we also captured all of the candid moments with our Social Photographer; fully immersing attendees in a branded experience, right down to the branded photos courtesy of TapSnap. According to econsultancy.com, this type of brand activation helps “a customer choose one brand over another inside a department store”. TapSnap has had multiple experiences with this form of activation, most notably with Nordstrom. While there are different ways to go about it, most of Nordstorm’s events have involved fun with a TapSnap photo booth. 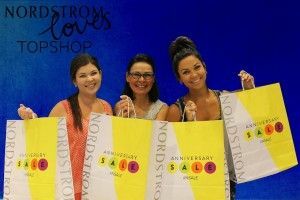 Like other clients, Nordstrom immersed their clients in branded experiences using TapSnap for product launches, cosmetic events, and more. 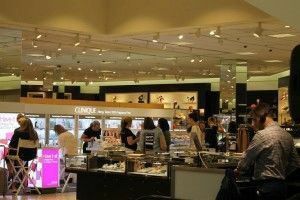 A good example of in-store retail marketing is Nordstrom’s cosmetic events. TapSnap 1019 has attended several of these, specifically for Clinique. Most of the Clinique events have included several stations set up for makeovers and swag bag hand-outs for attendees. Customers had a chance to interact with the brand and learn more about their products, all while submerged in a branded experience. These events also included a DJ, as well as a TapSnap photo booth complete with a Clinique-branded step and repeat as a backdrop for photos. 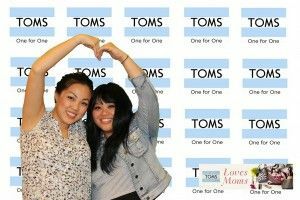 TapSnap 1019 has also attended product or brand launches for TOMS and TopShop! These events also included a DJ and a TapSnap photo booth. Econsultancy.com also explains that “promotional marketing involves raising awareness of your brand and its products in order to generate more sales”. It’s also a good tactic for improving customer loyalty. A great example of this is Antsquare’s brand awareness campaign. Antsquare is a new community marketplace, so their prime focus was brand awareness and building their database. As part of their campaign, they teamed up with TapSnap Vancouver and delivered photo entertainment at two events in Vancouver—the Khatsahlano Street Party, and the Canada Day event at Canada Place. Not only did people enjoy getting their photo taken, they also had an opportunity to interact with the brand and learn more about their product. As a part of the promotion, those who signed up on the app also got a credit at Antsquare’s store! Much like the New Balance events, the advantage TapSnap provided Antsquare was a fully branded experience. Everything from the kiosk, to the photos, to the auotmated email message was customized specifically for Antsquare. So, when people posed for a branded photo, they also received an email with messaging tailored to suit the brand’s voice. They were also able to capture over 900 emails, which were then added to their database. In this way, they furthered engagement with customers via Facebook retargeting as well. As an event entertainment company, we’ve seen first-hand the value of brand activation. Not only does it help with brand exposure, it’s valuable for its role in improving customer loyalty. If you’re still wondering what all the fuss is about, here’s why your company should market itself through events.